Keep track of your rental income and any late fees in this handy excel template that will calculate the remaining balances due for up to 25 properties. If you need an easy way to keep track of your rental income, any late fees or remaining balances, this template will help. 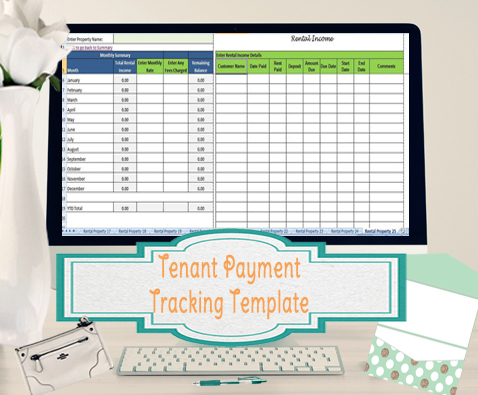 This excel template consists of one page per property, for up to 25 properties, and a main summary page that will total the rent income received and any balances due. In the individual property pages, you can enter the rental income as you receive it. In the left side, you can also enter the monthly rate and any additional fees. The remaining balance due each month will then calculate. The main summary page will fit the rental income and any outstanding balances for all 25 properties all on 1 printable page. 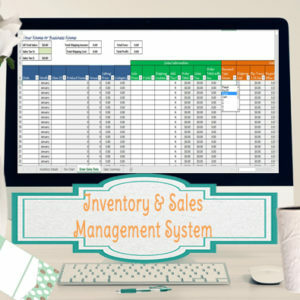 Everything in the summary will update automatically based on what is entered in the individual property pages. You will easily be able to navigate the 25 pages and main summary, by clicking on links to bring you to the property page or summary you are looking for. 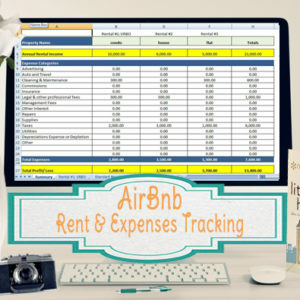 This template is not set up to track expenses, if you are looking for income and expenses spreadsheets, I have several for 3-25 properties available here. 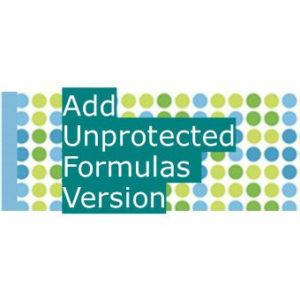 The templates are designed in Microsoft Excel, but can be made compatible with Open Office upon request.